Our corn is done in the county and waiting to be harvested. The crop looks good since mid summer rains supply lots of needed water. New corn agronomist Dr. Reagan Nolan did a trial comparing fertilizer applied and nutrients taken up by the plant. It was great that he got many of us county agents involved. 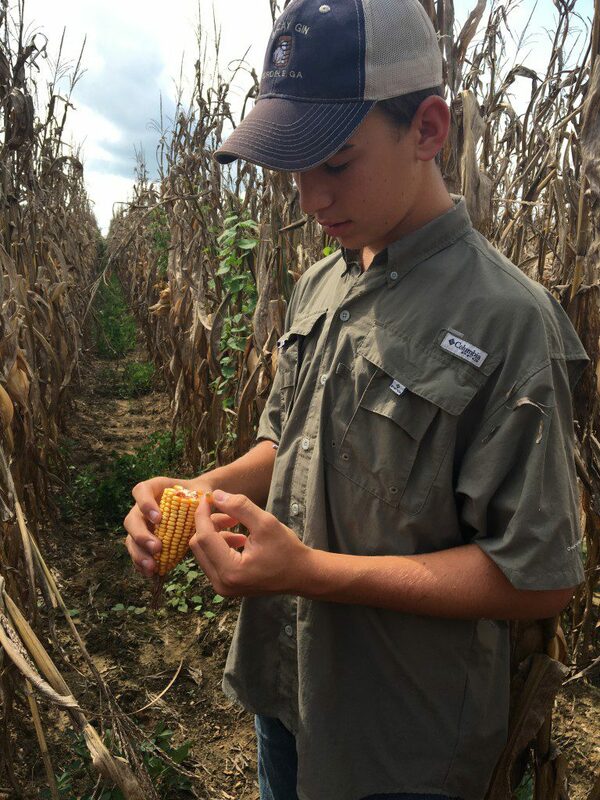 We soil sampled four different spots in the field, and once corn started it’s reproductive growth, we took leaf samples two weeks apart up until physiological maturity. 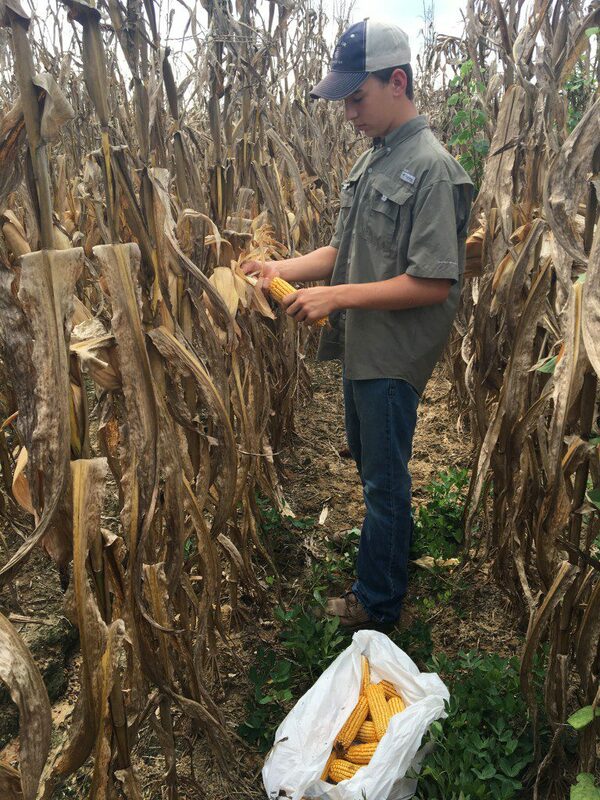 At the end we harvest 20 feet of corn cobs pee plot so Dr. Nolan can take moisture and yield. To get help with this, I had a great Wilcox County Young Farmer with me, Grady McBryant. When corn reaches black layer, it is officially done, and irrigation can be cut off. 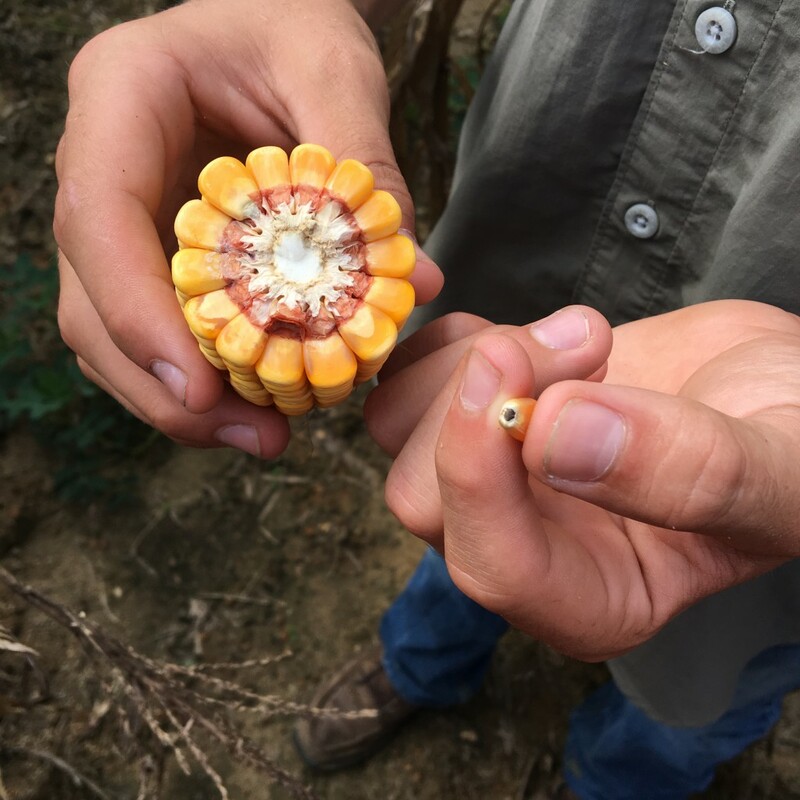 Here is a picture of Grady with a corncob broken to show the milk line has gone all the way to the bottom of the grain, and when you pull a kernel off the cob you see a layer of black. Of course I lost two of my plots and needed some help finding them. Grady actually planted this field and helped Kevin Phillips put in one of his variety trials. Grady remembered seeing my flags in the middle of the field and went straight to them inside the corn. This helped me a lot and we got it all done. Posted in Corn, Fertility. Bookmark the permalink. Next: Early Leaf Spot… Late?